The Spinal Column And Spinal Cord At The Same Time. 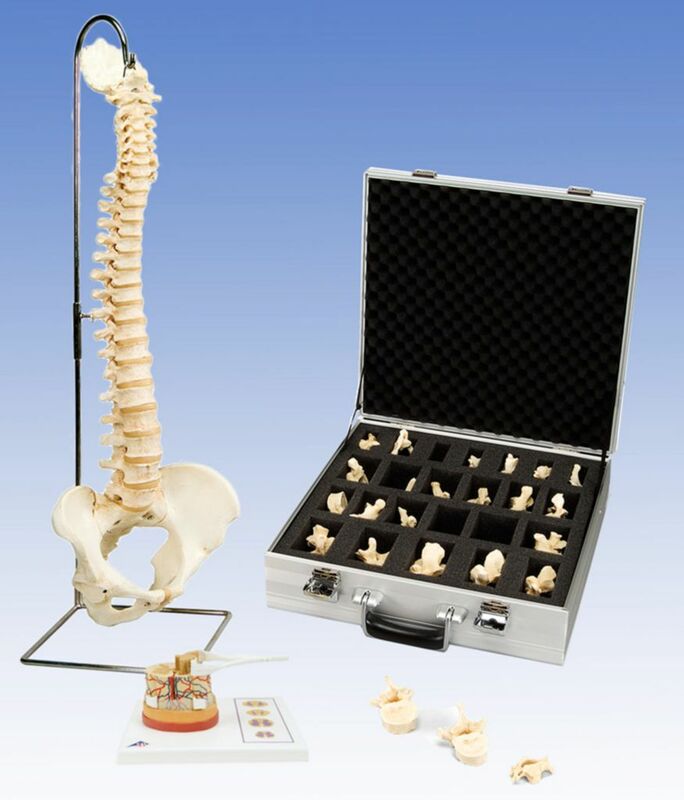 Examine the gross and detailed anatomy of the vertebral column with this BONElike set. The Spinal column includes a male pelvis and occipital bone. The BONElike material is unlike any manufactured bone you have used. Closely matching the texture, weight, and feel of real bone, you may no the able to tell its not real. The spinal column is flexible allowing disc compression to be viewed along its full length. Individual bones can be examined in the cased set of 24 individual vertebrae (C1-7, T1-12, L1-5). Each vertebrae is made of the same BONElike material as the vertebral column and labeled for easy identification. The structure of the spinal cord is examined using a 5X sized model. Images on the side of the model illustrate the changing distribution of Gray and white matter along the length of the spinal cord, while a 3 dimensional model show details of general spinal cord anatomy.